Cultivating land can enrich our lives beyond the basic provision of agricultural products. 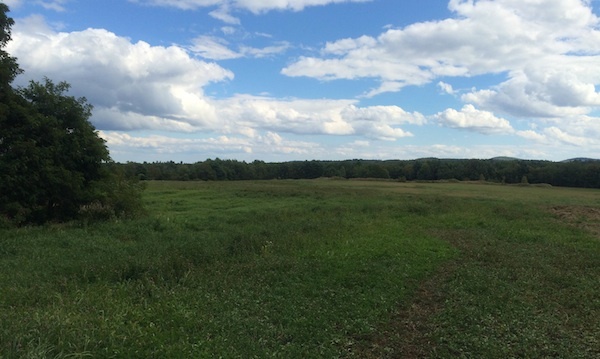 Last June, Maine Farmland Trust closed on a purchased easement with Sanna McKim to protect 16 acres in Belfast. Then in mid-August, Sanna transferred the property—and her ambitions for it—to Bennett Konesni and Edith Gawler, a multi-talented young couple with a vision for the future, and an eye to the past. Only 2 ½ miles from downtown Belfast, the land—an old dairy farm—hadn’t been a working farm for quite some time, and was slated first to become a golf course and then another development project. But Sanna didn’t want to see a golf course on what used to be farmland, so she purchased the original 170 acres in 2006 with a dream to benefit the local economy, keep farming going, and contribute to the rich cultural—specifically agricultural—heritage of the area. “Smart growth” was the way she described her idea. Much of that vision came to fruition with the creation of the Belfast Co-Housing and Ecovillage on 40 acres of the land. But since the Co-Housing Community didn’t need to use the whole property, Sanna began talking to Bennett and Edith, and MFT, about how to sustainably manage the rest. Edith and Bennett are musicians, artists, designers, and farmers. Edith grew up playing with her sisters and parents in the famed Gawler Family Band, and also performs with Bennett under the name “Edith and Bennett.” Bennett co-founded Sylvester Manor, a non-profit educational farm on Shelter Island, NY, and studies, collects, and teaches worksongs throughout New England. 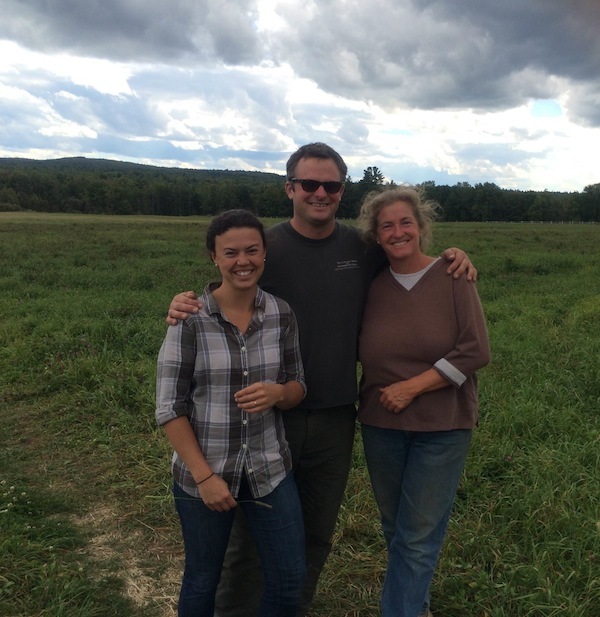 ­The couple led a recent “Worksong Hootenany” at North Branch Farm in Monroe, which was captured on video by the Bangor Daily News. They’ve shared their songs and other projects on TEDx and have been featured in many publications, including The New York Times. Bennett and Edith decided to name the farm “Duckback,” was inspired partly by the names of the local Ducktrap River and Hogback Mountain. It’s also a reminder to let things go when they get too serious, like water off a duck’s back. The name and image they envision representing it—a duck facing his back, perhaps with a berry or garlic clove in his bill—further reflects Sankofa, a West African symbol that means to go forward without forgetting the past. That principal is integral to the couple’s philosophy and future ambitions. As farmers, they are thrilled to own this particular property. It’s close to where they’re building their house, the soil is rich and rock-free, and Bennett’s mother and his sister’s family live less than a mile away. There are other young farming families just down the road, and one of the neighbors recently stopped by and expressed her enthusiasm at having Bennett and Edith farm there; they’ve already arranged to use some manure from her horses on their fields. “Many farmers want to be in a vibrant farming community, and that’s certainly a wish that’s been granted for me,” Bennett voiced. Bennett pointed out his plans for each section of the land. Judiciously cut, the small copse of locust trees, he says, will be perfect for posts, and he’s even thinking about planting a few of them in another area to keep up a steady supply. He ploughed and seeded into cover crop a tw0-acre section of soil, the beginnings of the garlic patch, and might plant a few experimental bulbs this year. Gesturing towards a possible future pick-your-own strawberry patch, he noted that there aren’t many PYO berry farms in the Belfast area, but people are interested—the market is there. He’s also thinking about growing herbs, especially for tea. These three crops—garlic, strawberries, and herbs—are low maintenance. That means the couple can continue to pursue their other aspirations while remaining grounded in a specific place. Their goal is to make roughly a third of their income from farming, a third from art and design, and a third from music. But their enterprises are never that separate. Edith incorporated principles of the local sustainable food movement into her architectural thesis at Syracuse University, and Bennett’s passion for worksongs arose largely out of a love of farming and a desire to make the often-arduous labor a little more fun. Both relish the harmony of all their activities, noting that everything is interconnected. “We take the idea of diversification on farms and apply it to life,” Bennett said. Likewise, design, art, and music enrich the culture of farming. In their view, farmers have always been good designers, as well as fiddlers, singers, and other craftspeople, and the couple wants to weave that culture back into agriculture. Like farming, their music is very place-based. Edith noted that you can often hear the landscape in the tunes. “We want people to hear place and taste place,” she said. They dream about selling garlic from the stage after a concert, sharing both the flavor and sound of their home. Sanna still owns some of the rest of the property she bought in 2006, and with Bennett and Edith is working on a larger vision for the rest. 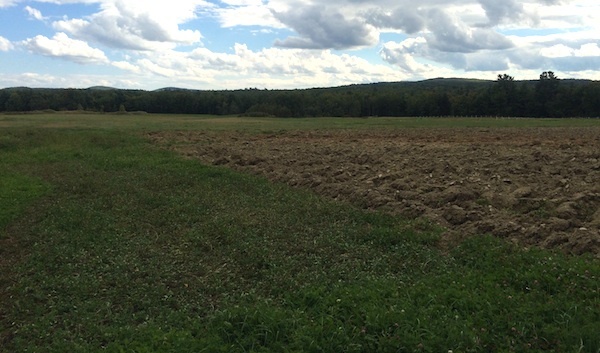 They’ve talked about trying to create a community farm incubator, similar to Vermont’s Intervale, thereby “putting the patchwork quilt back together,” as Bennett put it. Sanna in particular is focused on creating an oil-free future, and sees the benefit of small, manageable plots. Sharing a vision, building on the past, and creating a sense of place: their story is a perfect illustration of how connection to land through farming can feed culture and enrich community.